And so begins the story of how one of the most significant archaeological discoveries in Southeast Asia came to the world’s attention. 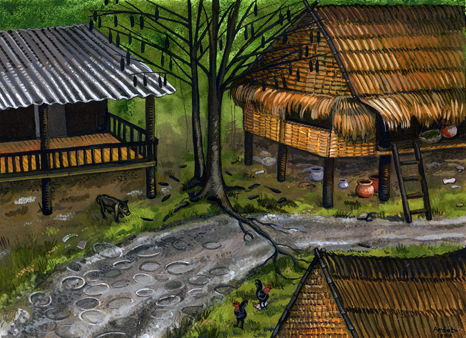 Artist’s conception (by Ardeth Anderson) of the village of Ban Chiang in 1966 showing pot rims emerging from the road. In 1966, Stephen Young, son of a former U.S. ambassador to Thailand, was walking through the village of Ban Chiang in northeast Thailand when he tripped on a kapok tree root and fell flat. Under him he felt a ring protruding from the soil, which turned out to be the rim of a partially buried clay pot. He then noticed that he was in fact surrounded by other “rings” in the earth. The pots—slowly being exposed by erosion—were buff in color with striking designs in red. A lost ancient culture was being revealed. 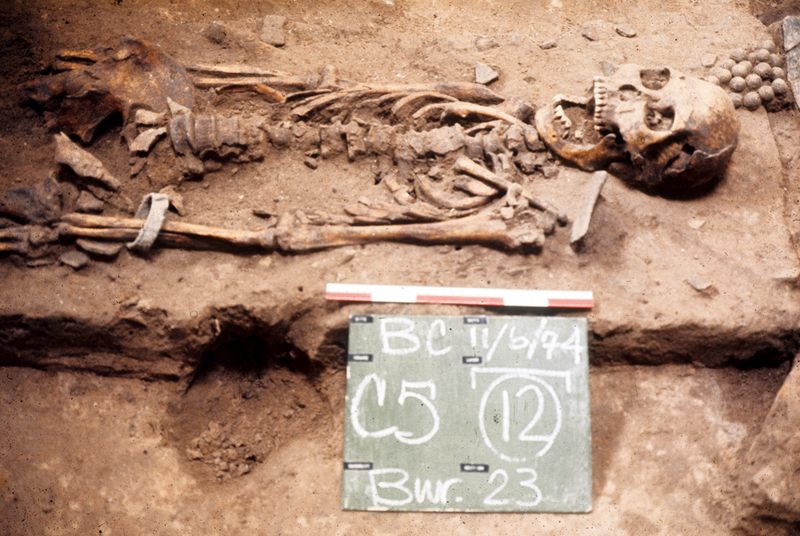 That “oops” fall started a chain of events that led to a major archaeological discovery of the 20th century and international awareness of its importance. A confluence of just the right interests, timing, and international connections made the Ban Chiang excavations possible. Location of Ban Chiang and other sites in Southeast Asia mentioned on this website. 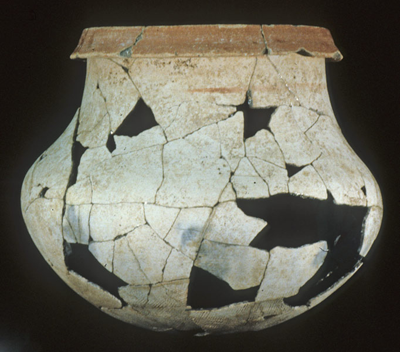 Even before Stephen Young’s discovery, the Fine Arts Department of Thailand (FAD) knew of Ban Chiang and its pottery, although not yet the site’s full importance. Test excavations undertaken by Thai archaeologists showed Ban Chiang to be a deeply stratified site holding evidence for a rich and previously unknown culture, but resources weren’t available to go further. Meanwhile, Froelich (Fro) Rainey—then Director of the University of Pennsylvania Museum of Archaeology and Anthropology—was seeking ways to move the Museum’s research beyond its traditional focus on Near East and Central American archaeology. By the early 1970s, he had reason to think that important discoveries could be made in Southeast Asia, based on a few sites excavated in Thailand in the late 1960s—for instance, hints of an early bronze age at Non Nok Tha (excavated by the University of Hawaii) and transition of prehistoric to historic cultures at Chansen (University of Pennsylvania). Chester Gorman’s work at Spirit Cave as a University of Hawaii PhD student had also built a solid foundation for Thai/American cooperation on future digs. Into this mix came the influence of Stephen Young and that of another American in Bangkok, Elizabeth Lyons—who also knew Fro Rainey—and the pieces fell into place. By 1973, archaeologists from Penn Museum and the Fine Arts Department (FAD) had teamed up to begin investigation of Ban Chiang. 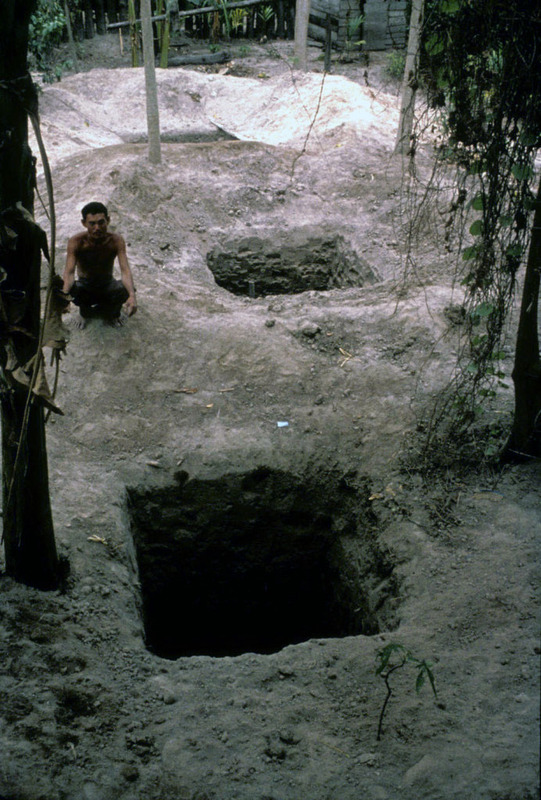 1974 BC excavation at Ban Chiang. Two major excavations were done in 1974 and 1975 under the direction of Dr. Chester Gorman (Penn) and Pisit Charoenwongsa (FAD). 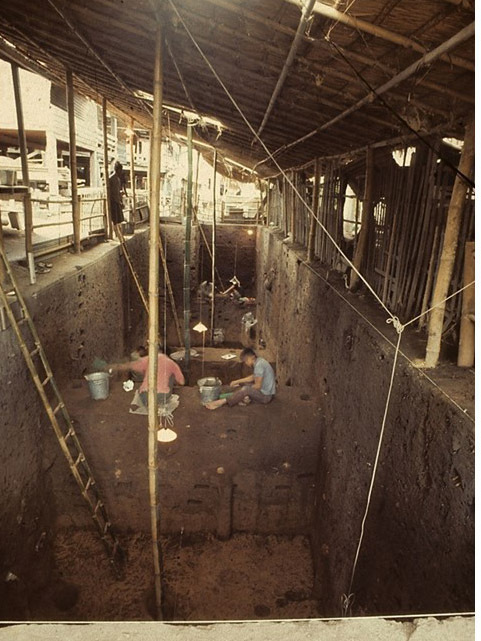 The first—the BC (Ban Chiang) excavation of 1974—took place at the side and backyard of a house. The 1975 excavation site, BCES (Ban Chiang Eastern Soi), was on a road (soi) about 100 meters away. Both excavation sites were chosen because they were in relatively undisturbed areas near the center of the current-day village mound. It was thought likely that these locations would yield the site’s full chronological sequence. After the excavations, FAD loaned about 6 tons of materials from the site to Penn Museum for analysis. [Most was returned in the 1980s, and some materials are still under study.] Skeletal remains went to the University of Hawaii and the University of Otago (New Zealand) received the faunal remains. After the death of Dr. Gorman in 1981, Penn Museum named Joyce White the Ban Chiang Project director. Today Dr. White continues to direct the analysis and publication of the Ban Chiang excavations via the Institute for Southeast Asian Archaeology (ISEAA) and as a consulting scholar to the Penn Museum. 1975 BCES excavation at Ban Chiang. Chet was born in Oakland, California. He grew up on his parent’s dairy farm in Elk Grove, California. His undergraduate degree in Anthropology came from Sacramento State College in 1961 and his Ph.D. from the University of Hawai’i under the guidance of Dr. Wilhelm Solheim. 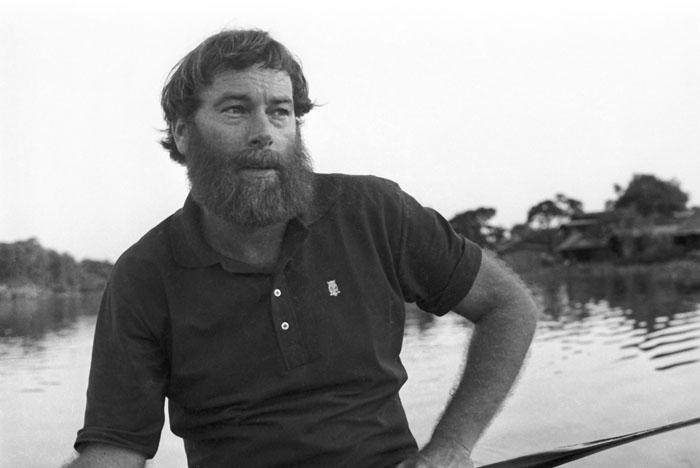 Solheim sent Chet to Thailand for the first time in 1963-64, where he discovered the site of Non Nok Tha. 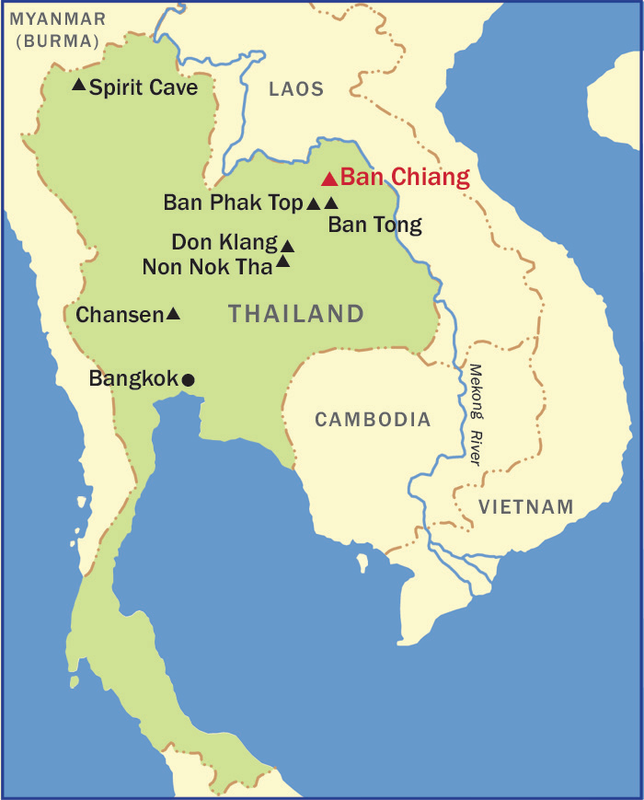 In 1965-66, he was in Thailand for his doctoral research, when his focus shifted from the plains to the Thai hills along the Burmese border and he found Spirit Cave (see map below). The professionalism and sensitivity with which Chet conducted the Spirit Cave excavation earned him international renown among archaeologists as well as respect from the Thai archaeology community. His ability to speak Thai also won him friends there: he was fluent enough to give public lectures and participate in debates in Thailand, and to give interviews in Thai to Thai reporters. In early 1973, during a break in the excavations of Spirit Cave, Chet made a contact that would prove to be a major turning point in his career. Froelich (Fro) Rainey, then director of the Penn Museum, recruited him to be the Museum’s representative for a large-scale investigation at the site of Ban Chiang in northern northeast Thailand. A ‘Carabel Type’ pot, BCES Burial 12 Pot B 1010, Middle Period. If Chet became the subject of a conversation, it was sure to lead to a colorful story. One such story involved Chet, a woman named Carobel, and a distinctively shaped Ban Chiang pot. It ends in a way that could only be Chet. In 1977, Chet was giving a talk to a Ceramics Society in Hong Kong where he was showing slides of Ban Chiang pottery. As he was going through all the different pottery types—a beaker, a globular cord-marked, a white carinated—he came upon a particular pot in the slideshow which hadn’t been assigned a name yet. A woman named Carobel, whom he had met briefly before, inquired from the audience, “Chet, what’s the name of that pot?” To which Chet responded, “Why, it’s a Carobel pot.” And the woman asked, “Oh! Why is it a Carobel pot?” To which Chet replied, “Because it has a nice round bottom just like Carobel.” Chet recounted the story to Joyce when he returned to Philadelphia. Years later in 1982 when Joyce was writing the catalogue for the Smithsonian’s travelling exhibition Ban Chiang: Discovery of a Lost Bronze Age, she had to give a name to the pot, which appears on page 69. Not knowing the spelling of Carobel’s name, Joyce termed it a “Carabel Type” pot. Years later in the 1990s, Joyce met Carobel and a mutual friend for lunch in Manhattan and the story was retold. Far from being offended by Chet’s comment, Carobel thought it was one of the highlights of her life and she wanted the story to be told at her funeral. Chet’s life ended tragically on June 7th, 1981 when he died after a long bout with melanoma. The discovery and excavation of Ban Chiang was a major milestone in our understanding of Southeast Asian prehistory. 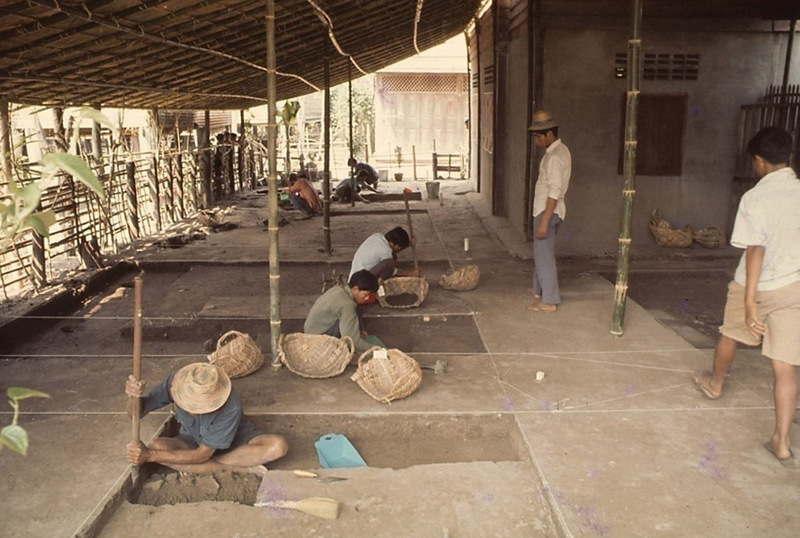 Scientific archaeology came late to Southeast Asia, due to decades of war and political unrest that limited access to much of this region and held back international collaboration and resource-sharing. 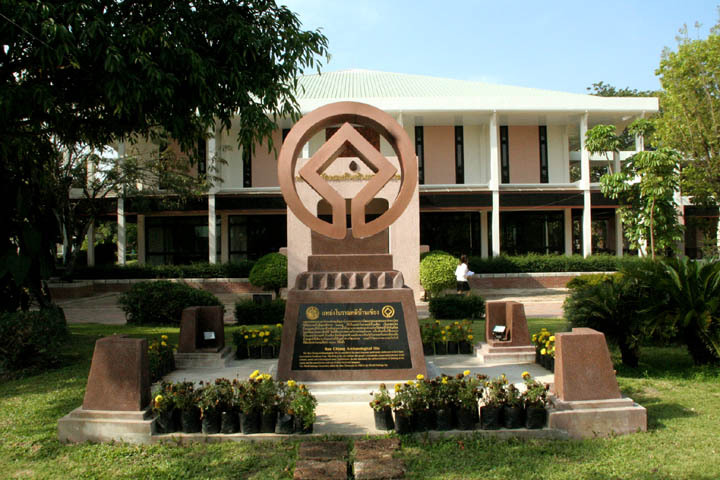 Until Ban Chiang excavation and that of another site, Non Nok Tha, scholars thought that Southeast Asia had always been a passive recipient of cultural ideas from India and China. In particular, they thought that bronze metallurgy—the making of bronze alloy and bronze artifacts—was associated with complex and socially stratified societies and that this technology spread to Southeast Asia no earlier than about 500 B.C. Events spanning four decades have brought international fame to Ban Chiang. Ban Chiang first made Thai news when rampant looting sparked countermeasures to preserve the archaeological site. In 1971, publication of an erroneous thermoluminescence date (4630 B.C.) for one of the famous Ban Chiang pots came to the attention of antiquities collectors—creating a spike in demand for the pots. Extensive looting ensued and threatened to erase evidence of the ancient Ban Chiang cultural tradition before it could be studied. Countless incomplete pots and ceramic sherds were tossed aside in the frenzy to pull whole pots out of the ground. In Bangkok’s Sunday Morning Market, huge numbers of unprovenienced Ban Chiang pots (and eventually fakes) were suddenly for sale. 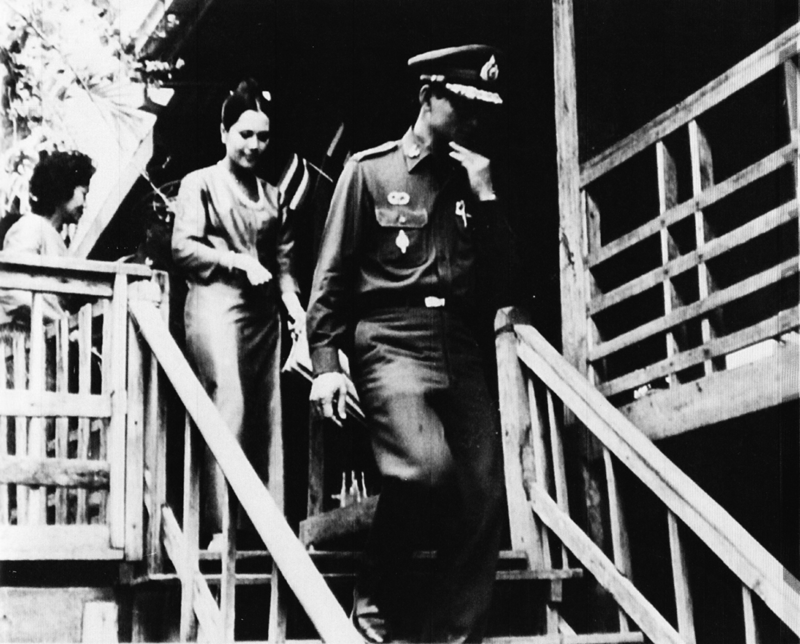 King Bhumipol and Queen Sirikit during their visit to Ban Chiang in 1972. In response, King Bhumibol of Thailand visited Ban Chiang in 1972 to fact-find and to urge more inclusion of villagers to help preserve Thai cultural heritage. Expanding on a 1961 law that prohibited export of ancient artifacts without permission from the Fine Arts Department (FAD), a new Thai law enacted after his visit made it specifically illegal for any Ban Chiang artifact to be sold, bought, or exported from Thailand without permission from FAD. The Western press brought Ban Chiang to early international fame. In the mid-1970s the New York Times and other western media got excited when an early date of 3600 B.C. 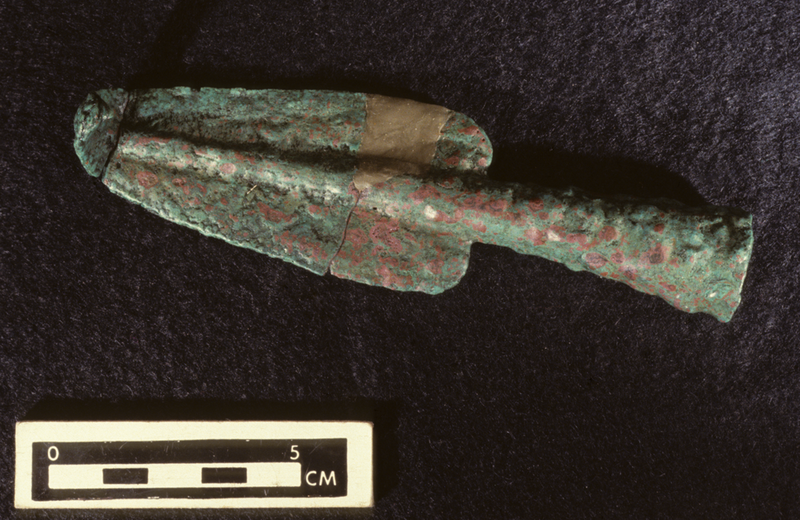 (later proven erroneous) was published for bronze artifacts from the Penn/FAD excavations. The Washington Post’s political op-ed writer, Joseph Alsop, devoted a column entitled “Rewriting Human History” (1975) that pondered the idea that Ban Chiang bronze dating could completely upend then-current assumptions about the progression of “Civilization” and bronze-making in Southeast Asia. 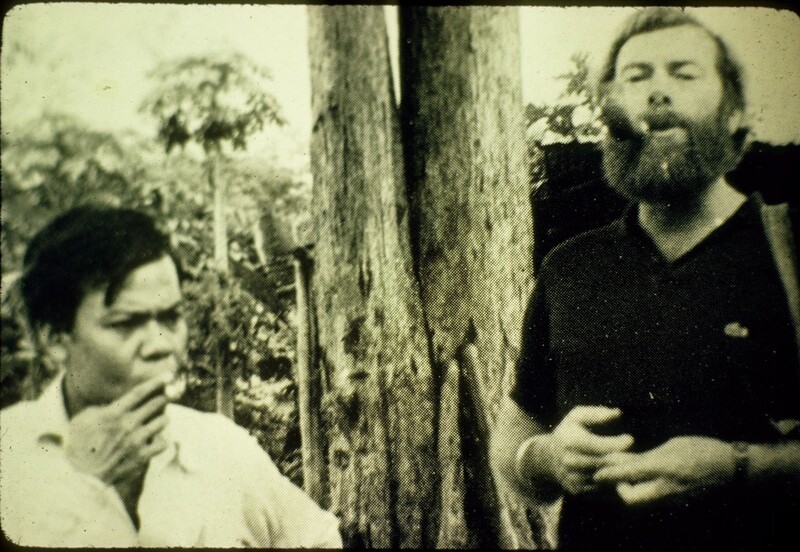 William Honan of The New York Times wrote a feature “The Case of the Hot Pots: An Archaeological Thriller” (1975) that talked about the beginning of the race between scholarship and looting in uncovering the ancient past of Ban Chiang and northeast Thailand. From 1982-86 the traveling exhibit Ban Chiang, Discovery of a Lost Bronze Age brought scientific findings about Ban Chiang to the general public. 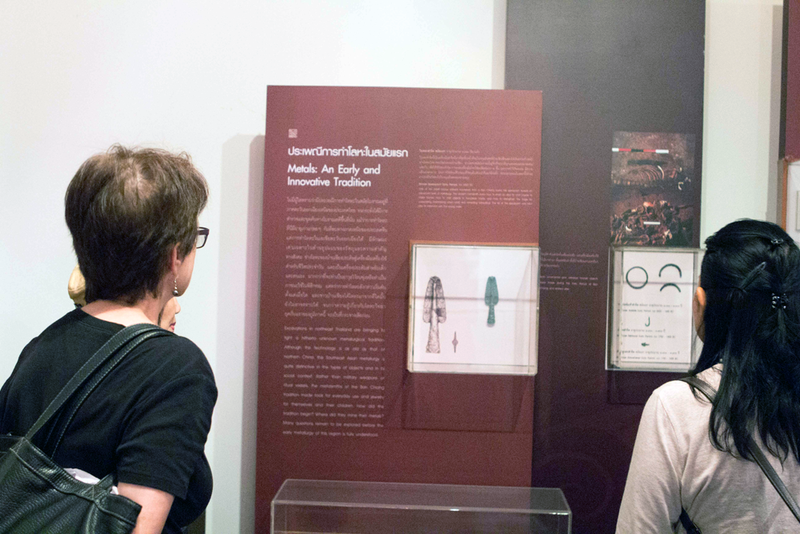 Curated by Joyce White, this Smithsonian-produced exhibit traveled to 12 U.S. and international venues, before installation as one of the permanent exhibits in the Ban Chiang National Museum in Thailand in 1987. Recent events have raised public awareness about smugglers and illegal collectors of Ban Chiang artifacts. Ban Chiang again came into front-page news in January 2008, when 500 law enforcement officers raided several U.S. museums and businesses that had large holdings of Ban Chiang and other prehistoric artifacts from Thailand. 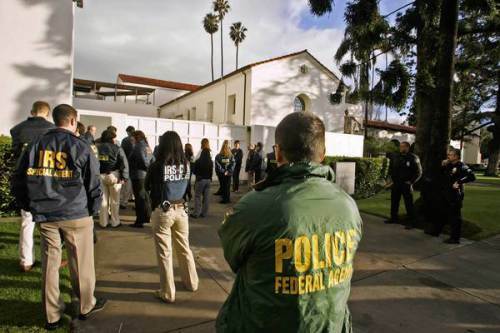 Investigations determined there was no documentation that artifacts had been legally exported. As the legal case slowly unfolded, institutions began to return artifacts to Thailand in 2014. The Bowers Museum in Santa Ana, California.